THS Homes Ltd site uses only one cookie. It is a session cookie, which is deleted at the end of your browser session. It holds no personally identifiable data relating to our site visitors, other than the broad geographical location. This serves to ensure the site delivers the correct information in terms of local contacts, currency and taxes. 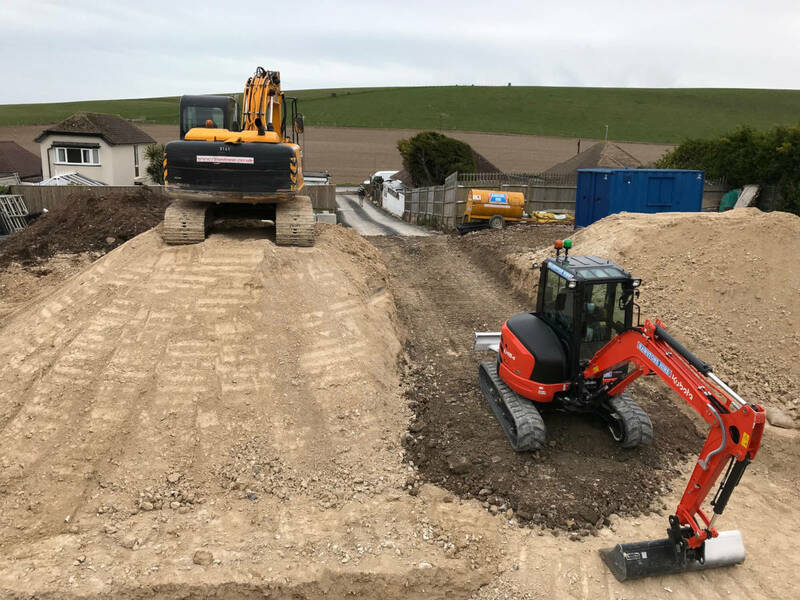 Whether embarking on a new build project or extending an existing property it is essential to know that the groundworks required are carried out to an exacting and competent standard. 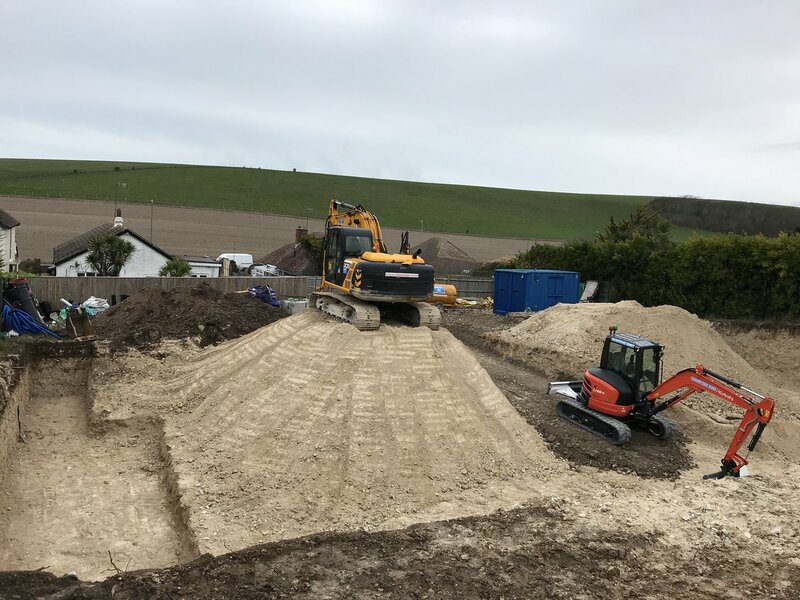 That is why THS Homes invests heavily in their in-house groundworks team, working closely with architects and engineers to ensure that when the structural work commences all foundations, drainage and services are laid correctly, in accordance with all current regulations. If you are considering any type of groundworks project, new build or extension, call us or click in the header of any page to send an email. 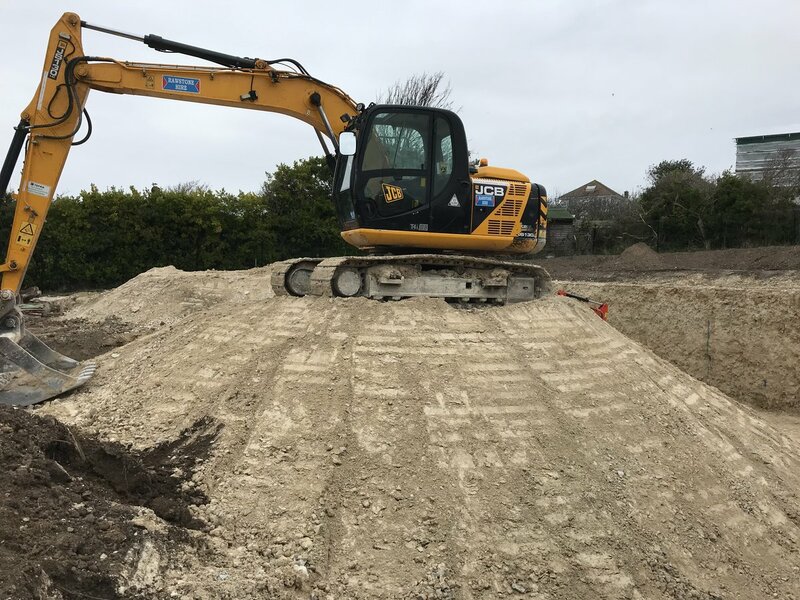 Our groundworks/professional team will be happy to provide detailed proposals and costings for any groundworks project or the complete build to 'turn-key' finish. Visit our gallery for more groundwork images. Groundworks page, THS Homes Ltd Leatherhead. Look back soon for more news of developments in Leatherhead. New projects are being added all the time. Better still, if you live close to Leatherhead and would like to talk over your house extension, conversion, renovation or new build project, just give us a call. We will be delighted to arrange a visit to talk over your plans and offer some ideas.